At Sally Oakley Wedding and Events we plan, design, and produce custom weddings and social events. Our mission is to bring you a unique event service experience on that most special day allowing you to relax, enjoy, and celebrate with friends and family. For a more detailed description of services and additional Add-Ons please contact us. For this package we are with you every step of the way helping you plan and execute your perfect day. We will work with you from day one to ensure your big day is exactly as you’ve always dreamed. So relax and let us take the lead! 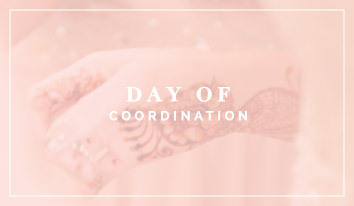 This package includes but is not limited to; budget development, venue selection, vendor referrals and management, design services, monthly checklists, unlimited phone and email support, hotel block and transportation coordination, detailed timeline as well as everything listed in Day of Coordination and unlimited hours the day of. We want to give you a relaxed and blissful wedding day. It’s your big day, why not enjoy it to the fullest and leave the rest to us! 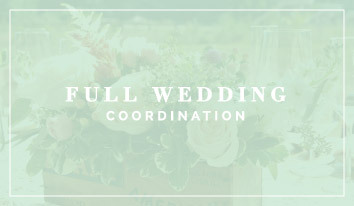 This package includes, but is not limited to; rehearsal and wedding day coordination, vendor management, provide Bride’s Emergency kit, placement and set-up of wedding items, unlimited email and two consultations; including a fully detailed timeline, as well as a Coordinator and a day of assistant with you throughout the day. Because no two weddings are the same we specialize in custom and partial proposals to assist you in all your wedding needs. We love planning a good party! Whether it’s a bridal luncheon, a 50th wedding anniversary, or a Bar Mitzvah; we can assist you with all your event needs. We offer full service planning, design, and event coordination. Please contact us for more information. Please contact us to set up a consultation; we can’t wait to meet you!